I come bearing glad tidings. After decades of OEM malaise, a constant parroting of the speeds and feeds mantra, and an aesthetic that was formulated in the back room of a dingy Staples office supply store, the PC is really back. In short, the Surface Pro is so good that it could drive Windows 8 adoption with enough force to make people reconsider Microsoft’s odd new OS. Microsoft bet the farm on a new paradigm and it needs a champion. Surface Pro is the right hardware for the job. I haven’t been a Surface apologist and, although I’ve seen Windows 8 as more of a success than a failure, no hardware has truly made me see the value of the platform until this model Surface. But enough effusive praise, let’s look at the hardware. Back in November I noted that Microsoft launched the Surface RT long before the platform was stable or even interesting. The RT, as you’ll remember, runs a quad-core Cortex-A9 ARM chip clocked at 1.3 GHz. It’s not awful, but it’s not great, either. This model attempts to right those wrongs by turning the Surface from a “tablet” device into a what essentially amounts to a Windows laptop. This is an important distinction. The Surface isn’t supposed to be a tablet you drop on the coffee table and use when you want to look up something on IMDB. It’s a powerful computer with enough speed and graphics chops to give any other manufacturer’s laptop a run for its money. Previous Windows tablets have been hampered by a strange and messy amalgam of interfaces, pen input, and a focus on the slate form factor. This device, on the other hand, is a real hybrid – a laptop that is also a tablet that is also a media consumption device. You will use it just like you use a laptop whereas, by definition, the hobbled RT version of the Surface is meant to be used as a tablet. In examining the Surface Pro we must remember that, physically, the Pro is essentially the same device as the Surface RT. It is very slightly thicker at exactly a half inch versus .37 inches for the RT. It is also a half a pound heavier than the 1.5 pound RT. The system runs an Intel dual-core 1.7GHz Core i5 chip and comes with 64 or 128 GB of storage (although, as mentioned all over the web, the 64 GB has only 23 GB available and the 128 GB model has only 83 GB available. The rest is taken up by system files.) 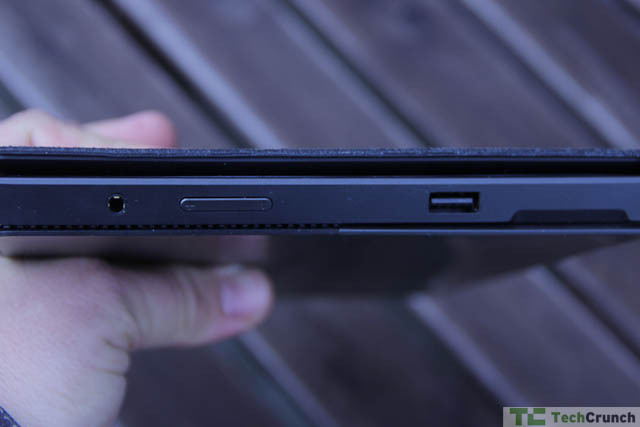 It has a microSD slot on the right side, one USB 3.0 port, a mini DisplayPort, and a headphone jack. 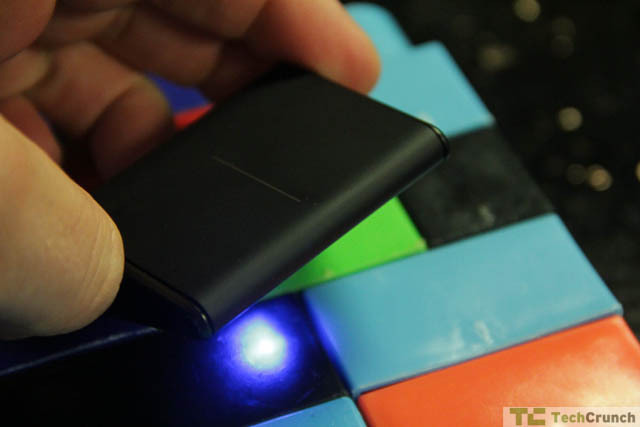 It uses a magnetic charging system that snaps, with some degree of difficulty, into a little slot on the side. It has 4GB of memory and a 1920×180 pixel 203ppi screen with 16:9 aspect ratio. The device also uses a Wacom digitizer and is compatible with Wacom pens. This is a boon for artists and designers as it means you have varying levels of pressure available when drawing on screen. You can also use the pen to control the on-screen interface, although I far prefer a mouse or, barring that, a finger on the touchscreen. Everything that people loved/hated about the RT is here: the loudly clicking magnets that hold in the power adapter and keyboard, the kickstand that hides itself away when not in use, and the glossy screen with touch-sensitive bezel. The kickstand alone is worth a few hours of Mac-lover ridicule or Windows-lover bemusement. Kickstands are for mid- to high-tier Android phones, not tablets, they’ll say as they attach cases that fold into kickstands to their iPads and Galaxy Tabs. I personally found the kickstand to be very useful when the Surface is in laptop mode although the lack of angle control is limiting. In short, the kickstand is a cool idea and integral to the Surface experience even if it does increase the overall footprint by two inches. In terms of usability I had no trouble learning the vagaries of Windows 8 on this device or actually enjoying the experience. That’s right: I liked Windows 8 on this for the simple reason that the balance between Classic and Touch UIs (which is what I’ll call Metro here) was easy to understand. This balance doesn’t help Microsoft convince us to use Touch more – you still tend to land in classic mode more often than not – but it does make Windows 8 far more usable. 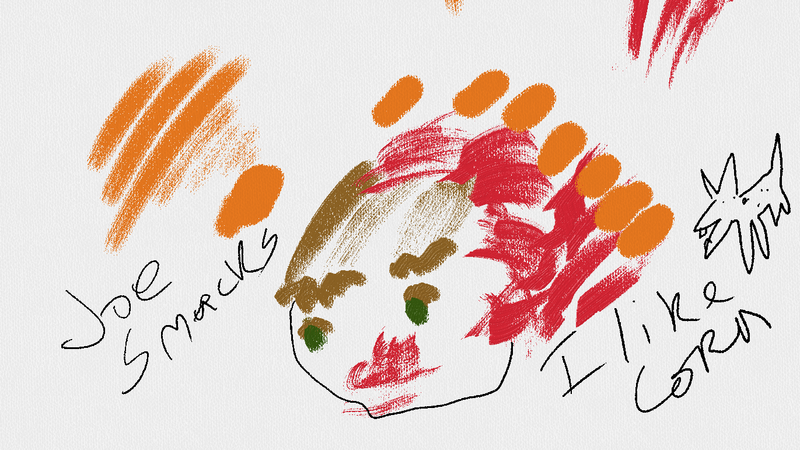 Plenty of ink has been spilled by those complaining about Windows 8 and the Touch UI. While I would be loath to hand this device to a novice Windows user, once you get a hang of the new interface it’s quite simple. Much of the Start menu functionality ends up in the “tiles” Touch interface while the search button makes it easy to find and run apps. As more apps use the interface I think the Classic mode will be phased out. Until then, you’re sort of stuck in UI limbo. That said, how does this device fare as a computing/content creation platform? I’ve been using the Pro as my primary laptop for the past week and even traveled with it. As a Mac snob this is a fairly unique turn of events. Usually I would test a laptop for a few days and revert back to my MacBook. As a laptop it is excellent. I was able to do nearly everything I needed to do including the editing of large documents, photo management, blogging, some minor gaming, and plenty of email and web browsing. I did run into some trouble while trying to play Civilization V. The game froze for a while and then launched in “touch” mode, thereafter sitting underneath the task bar where various features were hidden from my mouse. Amnesia didn’t run at all out of Steam. However, Microsoft did show proof that games like Far Cry played on the Surface. It’s hard to fault the company for third-party titles when nearly every other app ran just fine on the platform. Even Minecraft, that paragon of high-performance gaming, ran beautifully. Many of the issues are associated with running a keyboard and mouse-based title with a touchscreen device and should be remedied over time. Everything else worked perfectly. It installed Vim and Putty and all of my favorite Windows programs without having to worry if they were compiled for RT. I also installed a set of applications into the Touch interface where I ran Skype, IM+, and some news readers. Even the much-reviled Mail app worked well in Touch mode. I didn’t notice that the Surface was formally a tablet. It worked just like a PC and, thought I got most of my work done in Classic mode, it was a pleasure to swipe along the sides to bring up windows, the UI “charms” for search and settings, and the various little tricks that Windows 8 employs to make the move from touchscreen to keyboard as seamless as possible. This assumes, of course, that you’re using either the $129 Type Cover or $119 Touch Cover or, barring that, an external keyboard. I found both covers to work well with the Surface (except for some connection problems I’ll talk about later) and I would say that these covers are absolutely essential to the Surface Pro experience. You can, to be sure, just watch a movie on the Surface’s big screen or slip around to view documents with a finger, but you absolutely need a keyboard to get any meaningful work done. The onscreen keyboard, like so many onscreen keyboards before it, is simply not enough. It’s hard, then, to say exactly what this device is. 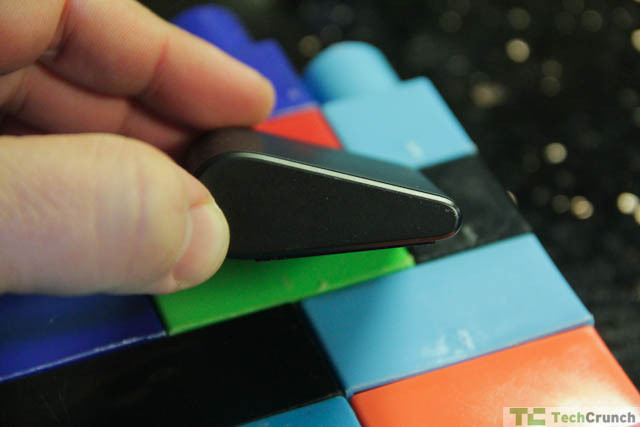 The kickstand, for example, offers a design cue that can’t be ignored. When looking at the Surface Pro you know it wants to stand upright yet, unlike a laptop, you cannot simply lift up the screen and use the whole thing on your lap. You can, however, hold it above your body while lying down, like any other tablet. However, this position is not conducive to content creation. 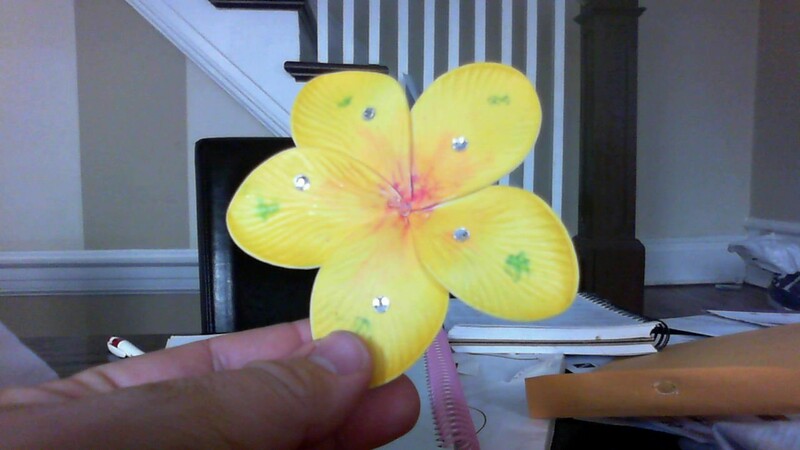 You can also lay the Pro down flat and draw on it, thereby turning this into a very nice art tablet. However, you’ll get the most done at a solid table with a keyboard and mouse at hand. 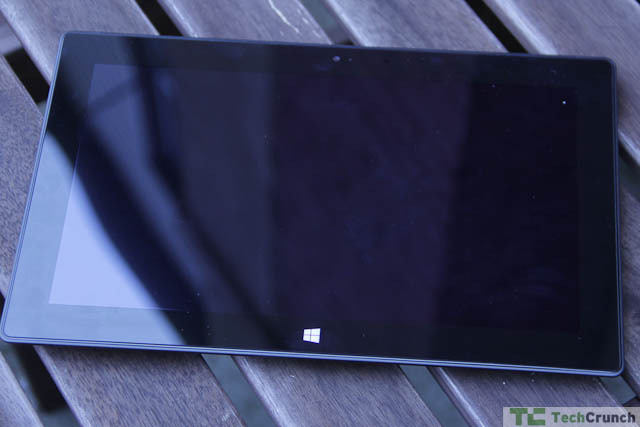 That is the Surface’s secret: it’s a laptop that turns into a tablet, not a tablet that turns into a laptop. In terms of media features, much of that has been addressed in reviews of the RT and Windows 8. I was pleased to note that the screen resolution was excellent – 1920×1080 is nothing to sneeze at – and Microsoft’s “ClearType” display is very nearly on par with Retina screens, at least at first blush. There are definite pixels visible on this screen but on the whole the display is bright, eminently readable, and offers excellent contrast. Reading on this screen, for example, is a pleasure and casual games like Angry Birds work just as they would on a similarly outfitted tablet. The Pro has two 720p cameras, a front-facing one for web chat and a rear-facing for taking in the world. Neither are particularly amazing but they are useful for web chats, etc. Media playback is excellent and barring some codec problems with some of the video I played on it, the Surface Pro handled video amiably. I was able to see about five hours of video playback in Battery Saver mode which was just enough for a trip to San Francisco from New York. I set the Surface up against the back of the seat in front of me, hid away the keyboard and mouse, and used it just as I would normally use my iPad. To be clear this solution is not absolutely ideal. 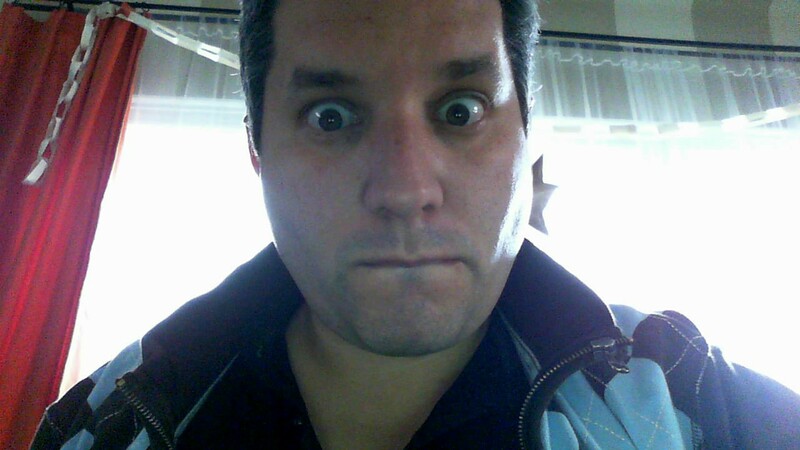 Once you take off the keyboard and mouse, the Surface Pro becomes less interesting. Most major games are difficult or impossible to play without alternate input systems and apps like Windows are marginally useful. This is far from a deal-breaker, obviously, because the two use cases are so disparate and having the option of turning the Surface into a tablet or an ultralight laptop is the main benefit of the form factor. 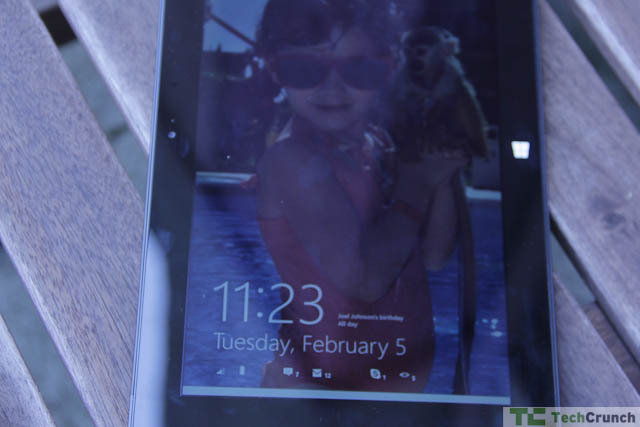 Is this the ideal tablet? No. However, as an amalgam of workhorse and media consumption device it is one of the best I’ve seen. 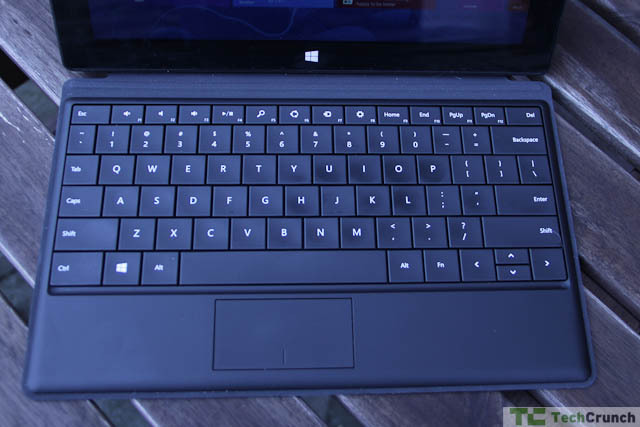 Even convertible laptops are far bulkier and fare worse. The Lenovo Yoga, for example, was a solid touchscreen laptop with some tablet features but its bulk was a bit too much to handle on the road. This device, on the other hand, is Windows condensed. It offers an excellent form factor and the fact that solid performance is a click away is compelling. The Pro costs $899 for the 64GB model and $999 for the 128GB model, a pricing scheme that tells you a lot about how much solid state memory is worth these days. It’s clear that these price points will aim the users to the roomier model. This price includes a Surface pen. Microsoft is also selling a $70 “wedge” mouse that is little more than a wedge of plastic and two buttons. I’ve been using it extensively and it’s been quite a lifesaver while mousing around in classic Windows. At $1,000, you’re paying about as much as you’d pay for a MacBook Air or a more powerful Windows laptop. Is this premium worth the investment? I’d say that it ultimately depends on how you intend to use this system. If it’s a laptop replacement as in something you carry on trips or to meetings, then yes. This is a stable and solid machine and will turn heads when you open it up. As a tablet, on the other hand, I’d say that you’re probably better off looking elsewhere. Given that most Windows tablets are hovering around $1,000 anyway, it’s probably not the best time to pick up a Win8 model (unless it’s the Surface.) 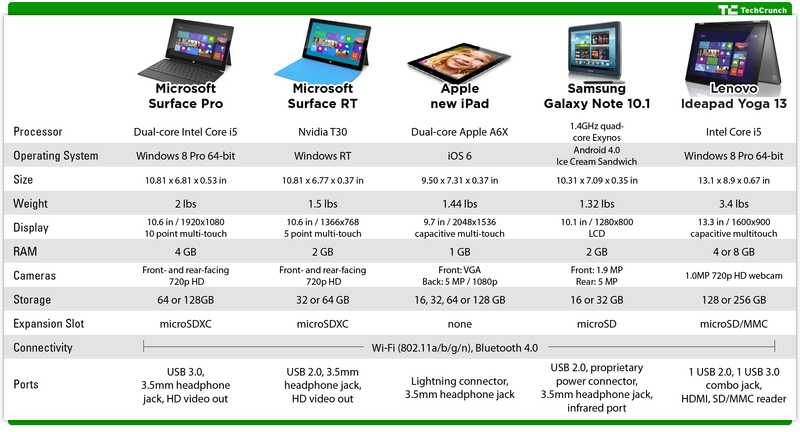 Manufacturers will begin the race to the bottom soon enough and the $600 Win8 tablet isn’t too far off. 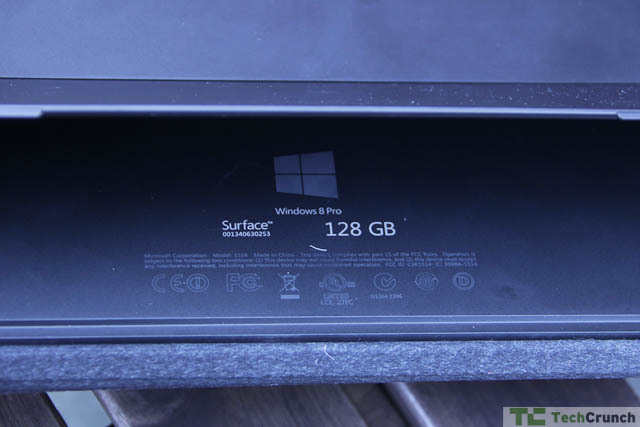 The $899/$999 prices are a signal: Microsoft wants you to buy the 128GB model. Much ado has been made of the fact that you really only get 82GB but I don’t recall folks complaining when their laptops came full of Windows system files and bloatware. This device comes, out of the box, ready to rock. Apps aren’t that expensive or particularly big and barring the handling of huge files, you’re not going to run out of storage immediately. Will you run out eventually? Absolutely, but presumably you can stick some of your files on a microSD card and carry that around as well. It’s a trade-off, obviously. 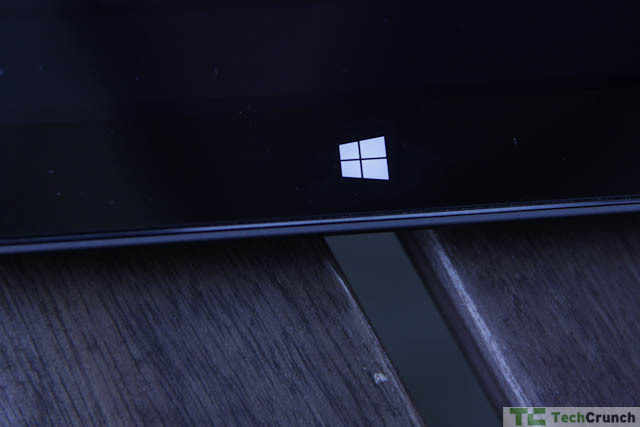 Given all of the previous commentary, what do I think of the Surface Pro? 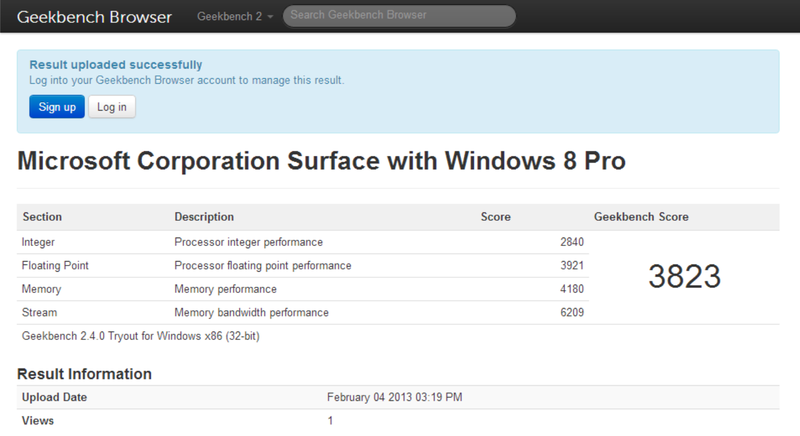 I think it’s a great laptop and it is the standard-bearer for the Windows 8 charge. 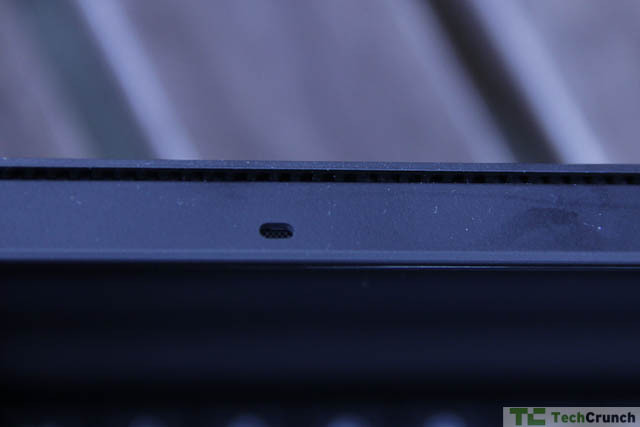 It is a flagship product that will show other manufacturers just what they’ve been doing wrong all these years by dumping Windows on weak hardware and calling it the latest and greatest. This is the latest and greatest and it was built on Microsoft’s terms with Microsoft money. Will it sell well? I doubt it. The price is too high for the lookie-loos and the pain of the Surface RT will make die-hards a bit apprehensive about spending more money on the platform. However, you can apparently trade in your RT model for a Pro and that is definitely the way to go if you’re considering the upgrade. Is this for the average user? Absolutely. It’s fast, solid, and small. 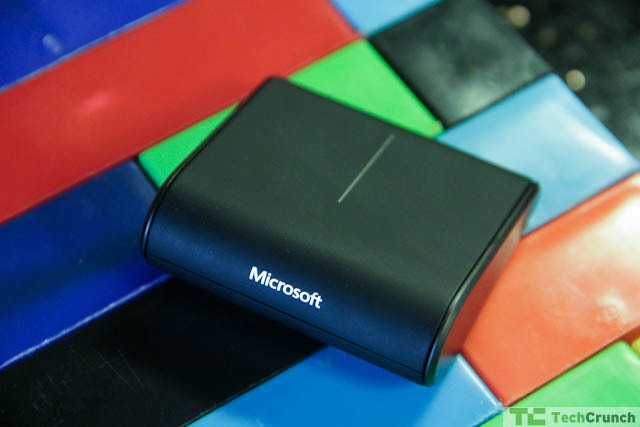 It’s a great portable experience and it can be used, without much fuss, as a media device. It is the best of a lot of worlds and handily replaces the laptop/tablet combination most people carry these days. Could it be better? Absolutely. I’d love some cellular support, for one, and would gladly pay for it. Windows 8 is still heavily dependent on Classic mode and the Windows app store, while generous, is not overwhelming. But backwards compatibility makes this an excellent stepping stone into the Win8 era. Once you use this device you slowly begin to realize why Microsoft was so ham-handed for the past few years. In short, they were afraid to alienate the core and they were anxious to build their customer base. By building this, they’ve shown the world how Win8 can win. It seems that this problem is related to the stability of the surface on which the device and keyboard are sitting. On an airline tray, for example, the problem is horrible. On a solid kitchen table the whole thing works perfectly. To solve this I’ve taken to keeping the device on a desk and using the wedge mouse as a pointer. I’ll raise my hand occasionally to use Touch mode, but I’m mostly using the Classic experience because most of the apps I use are trapped in that Forbidden Zone of “old” Windows. The hardware can run hot – there’s a real Intel chip in there – and it stays hot for some odd reason even after being shut down. This behavior reduced a full battery from 100% to about 80% overnight, which wasn’t pleasant. Leaving it “open,” namely with kickstand up and keyboard attached without pressing the power button, made the device run down in about four hours of non-use. Obviously this is a question of settings but you expect this thing to work like a tablet, not a laptop. Battery life in Balanced mode is about 3 hours and about 5 hours in Power Saver mode. This is enough to watch a few movies on a flight but not quite the five hours I’d like to see out of a device of this size. Power Saver mode can improve that battery life by about an hour. For $1,000, Microsoft could have put a longer power cord on this thing. The cable is about four feet long and the actual power cable – the side that goes into the wall – is shy of two feet. But that’s the trade-off: RT gives you tablet features by cutting your options and Pro gives you PC features by chewing up the battery. The first company to meld the two, in my mind, wins this battle. Given the value of the Surface Pro to Microsoft’s brand, it’s easy to see why the company opened their Surface kiosks this holiday. I read the reports of cheery salespeople flogging Surface RT with plastic smiles and an obsession verging on evangelical with a grin of Schadenfreude. Now I understand what happened: they were selling the wrong Surface. Those ham-handed sales pitches should have been saved for this model Surface. The RT, as exciting as it seemed at the time, is clearly the runt of the Surface litter. While the OS X/iOS vision Apple put forth worked for their mobile devices, Win8 without an Intel chip, at this point, offers a truncated expression of this platform’s power. The joke going around the pro-Surface RT crowd a few months back was that nobody wanted to run a 1998 copy of Peachtree Accounting on their sassy new Surface. I would argue that they are dead wrong. Without the benefit of a solid base of apps – or at least the perception of a large collection of useful apps and potentially a larger collection of garbage apps – a device that runs only Win8 and is not backwards compatible will alienate a Microsoft’s large base. To those who snicker at Win8 in general I will say this: this is the direction in which Microsoft is going, and to deride it is tantamount to hindering progress. To use a musical analogy, those who wish that Jamiroquai would return to the glory of Virtual Insanity will be gravely disappointed and the only way forward for a fan of Jay Kay or Em Ess is to accept that change is inevitable. I’m not a constant or dedicated Windows user, yet I am very excited about the Pro. It is Microsoft at its best – a pure expression of some computing solution that is more akin, say, to the Xbox 360 than the Dell Adamo. This is not a laptop that looks weird being sold at a premium. Instead it is a hybrid device that works surprisingly well as both a laptop and a tablet. There are obviously trade-offs, but the simplicity of form, the excellent design, and the promising OS make the Surface Pro a real treat – and threat to other manufacturers.